California Dried Plum Harvest Is Happening Ripe Now! Talk to a couple of California dried plum farmers for a few minutes and you soon realize how passionate they are about farming dried plums. This passion translates into a dried plum so sweet you’ll think you’re eating candy. 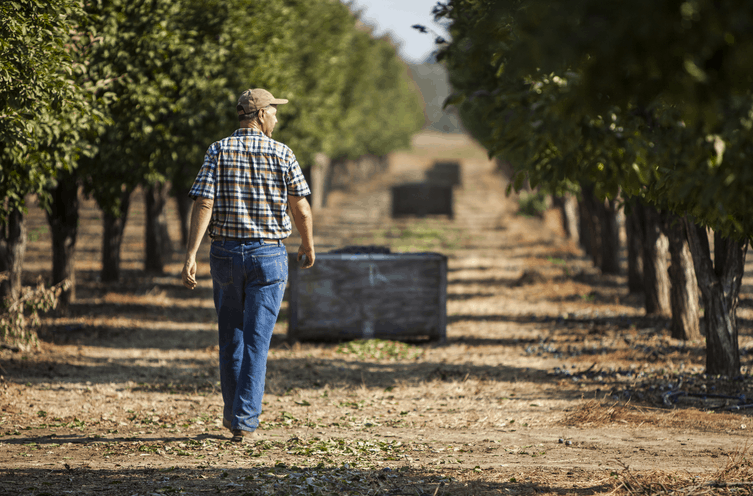 It’s no wonder that this group of farmers produces a steady stream of dried plums, fulfilling 99 percent of the United States needs and 41 percent of the world’s supply. And how do they make enough dried plums to meet those kinds of demands? Well, they don’t pick them one by one, they shake the trees and the plums come raining down. Back in the day, dried plum farmers smoothed and softened the soil beneath the trees and let the plums drop before gathering them to take to the dehydrator. Harvesting today is largely done by machines; a mechanical shaker grabs a tree’s trunk and, in a matter of seconds, shakes the fruit onto a fabric catching frame spread underneath the tree helping to ensure the highest quality and food safety standards in the world. From there, it’s a quick conveyor ride to bins destined for the dehydrator where they become the sweet, moist dried plums that you see in stores. Whether you cook with dried plums or eat them straight out of the bag, research has shown that dried plums may support bone health, heart health, digestive health, immunity, healthy aging and satiety. For additional information on California dried plums, please visit www.CaliforniaDriedPlums.org.